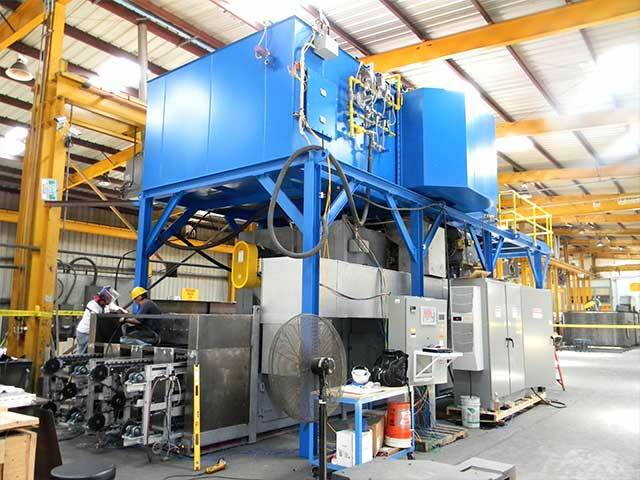 Thermal Deoiling is a process that uses indirectly heated dry air to clean parts contaminated with oils or lubricants. No water, solvents or other chemicals are used. The basic thermal process is well known, having been used for many years in industrial operations that require clean, dry parts such as brazing, coating, soldering and plating. The difference between an Industrial Oven and a Thermal Deoiler is that the deoiler burns the oil vapor in a Thermal Oxidizer to provide clean, dry heat for the deoiling chamber. In effect, the oil itself is helping to clean the parts while it is being oxidized to carbon dioxide and water. 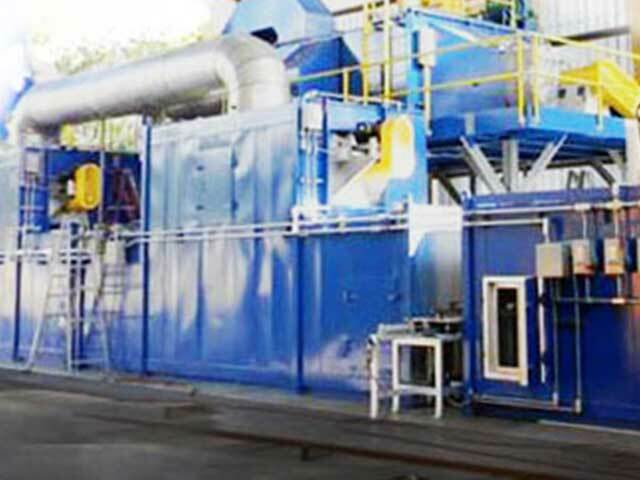 A natural gas fired burner in the Thermal Oxidizer provides the balance of the heat needed for complete destruction of the oil. Indirect heating avoids condensation of water or oil vapor in the deoiling chamber or on the parts.